A medieval prophecy with the power to change the world…. Five hundred years ago a German Knight has a terrifying vision of what the future might bring and embarks on a quest to discover its secret. In World War Two, Himmler orders an elite SS officer into the dark heart of Africa to solve the ancient enigma. Now Alex Devereux, former cavalry Major and hardened mercenary takes on a mission to raise a private army and attack a diamond mine in Africa. Operating outside international law, Alex comes face-to-face with the Dark Heart Prophecy. Past and present collide – but can Alex redeem himself and prevent the prophecy from coming true? 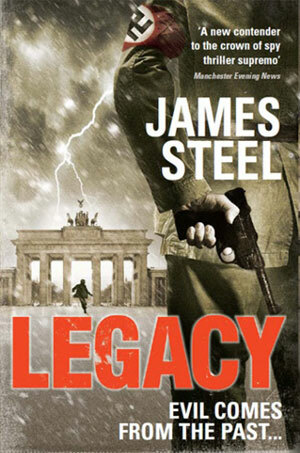 A tense and gripping thriller for fans of Robert Harris and Frederick Forsyth.